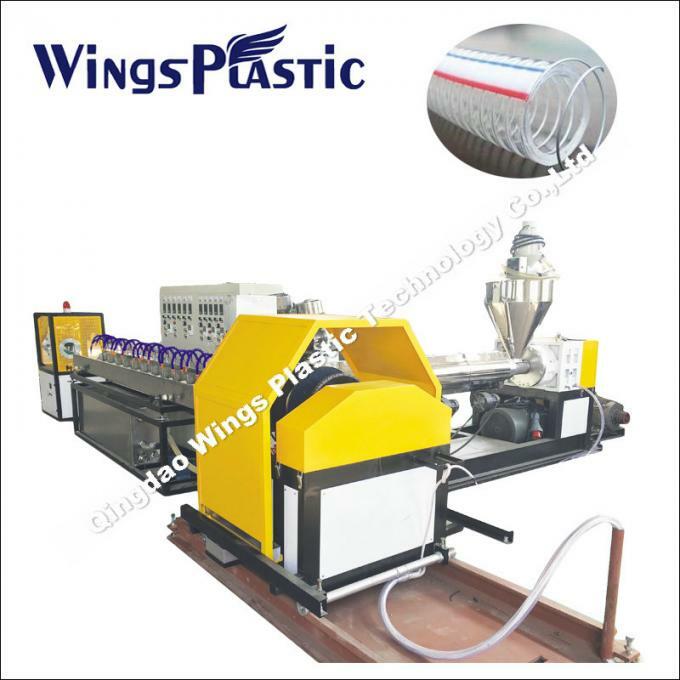 The machine is used to produce PVC steel wire reinforced transparent pipes. 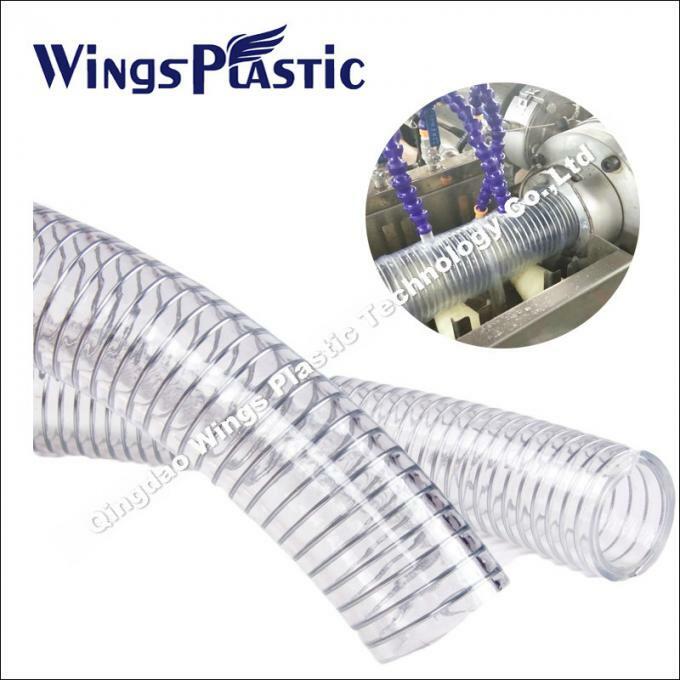 The pipe wall is made of transparent PVC plastic. In the pipe inner-wall, there are spiral steel wire. The kind of pipe has the advantage of extrusion resistance, corrosion resistance, static electricity resistance, anti-high pressure and good running. It is suitable for the conveying high pressure or combustible gas and liquid, heavy suction and delivery of liquid sludge. 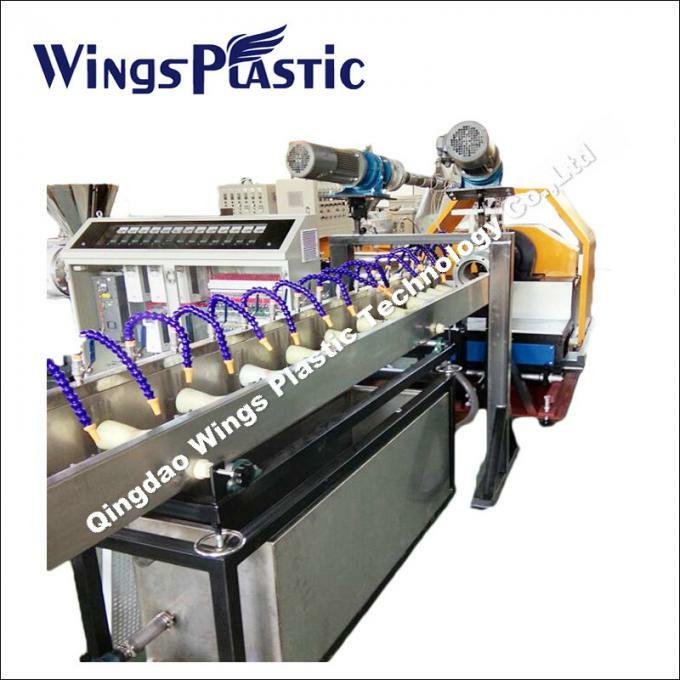 It is mainly used in fields machinery, such as chemical industry, building, irrigation and vacuum pumps,etc. Reducer gear box: hardness gear, low noise, long service life. Guomao brand, famous in China.